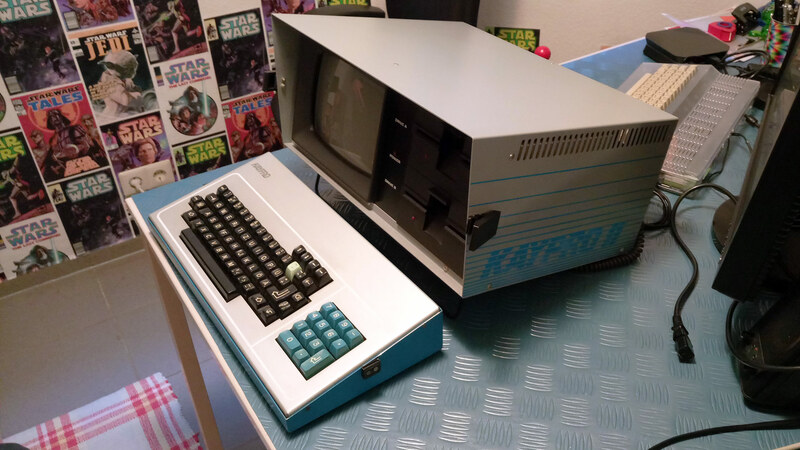 For an upcoming exhibition we decided to use -amongst other machines- a Kaypro II “portable” computer from 1982 running CP/M 2.2. 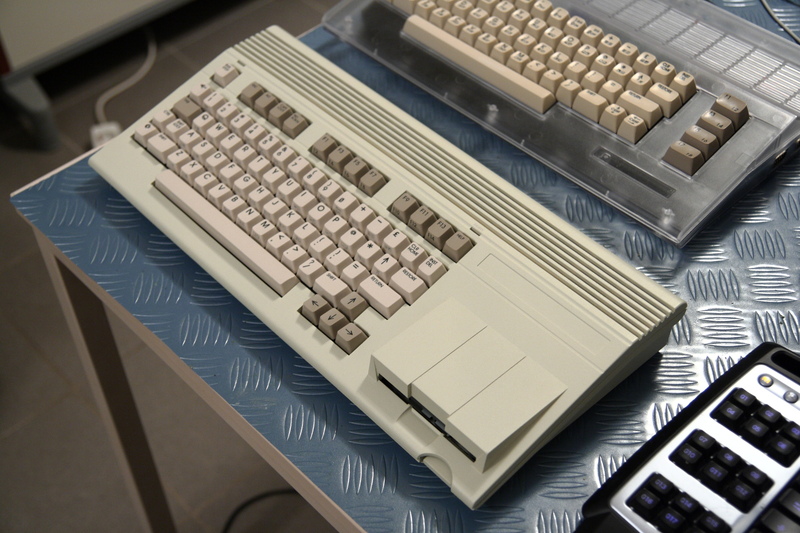 While the machine was quickly found in the archive, it decided to not work without some extra attention. 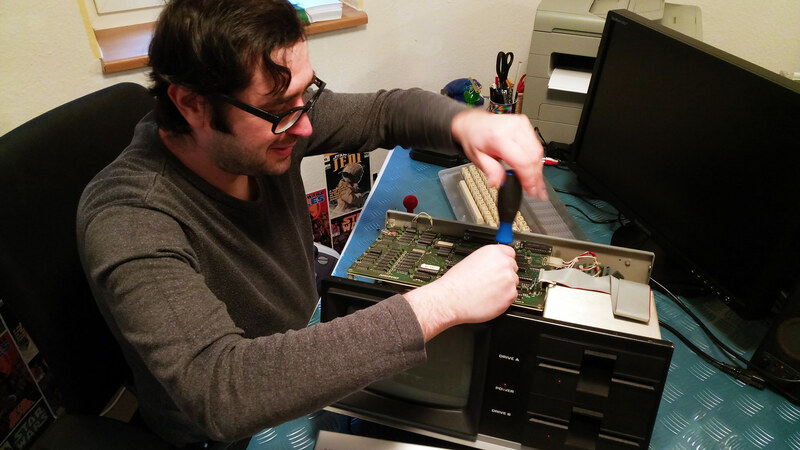 We removed a net filter that went up in flames and adjusted one of the drives. 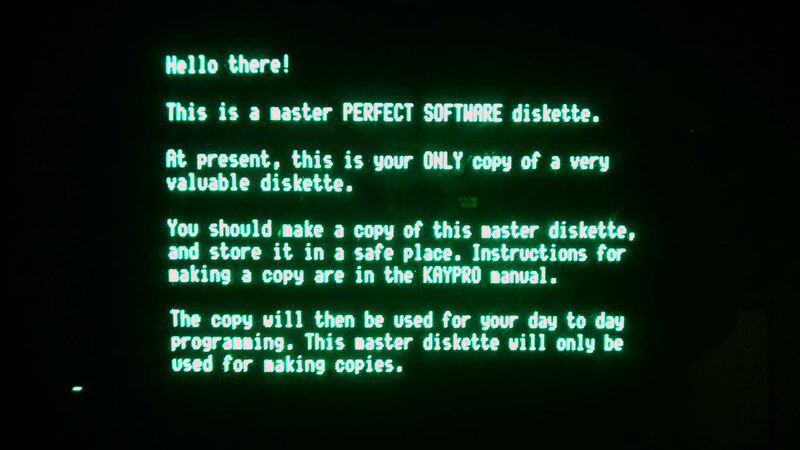 It now works like new and the interesting thing is that the software explicitly prompts you to make a copy! 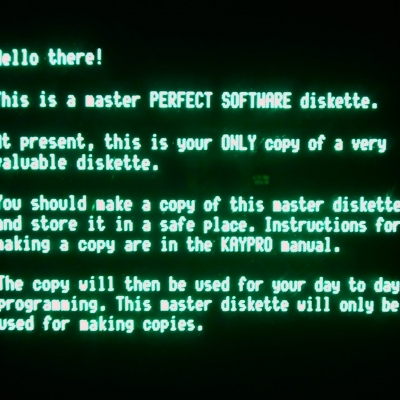 You cannot run software from the original disk (unless you know the trick). 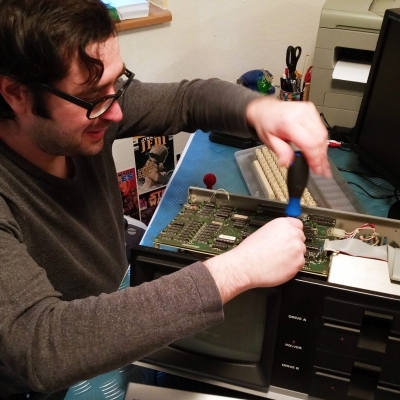 This adds to the machine being very repair-friendly and well designed. 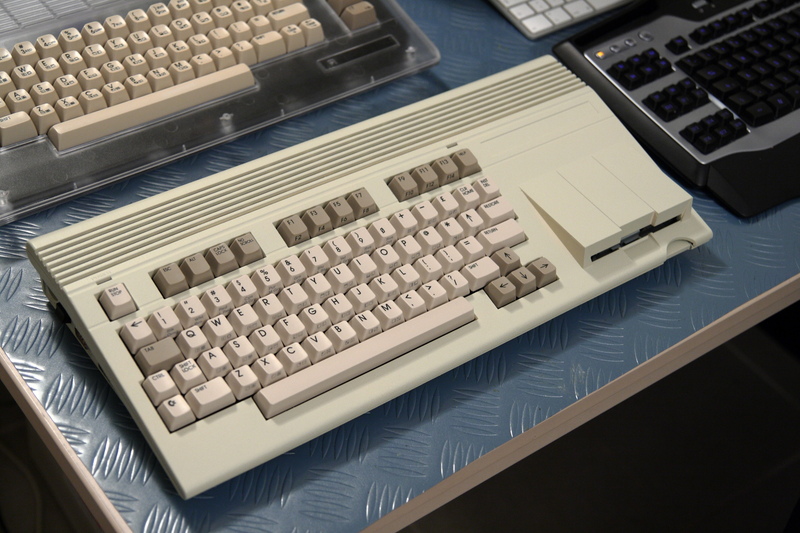 Why don’t they produce things like this anymore. 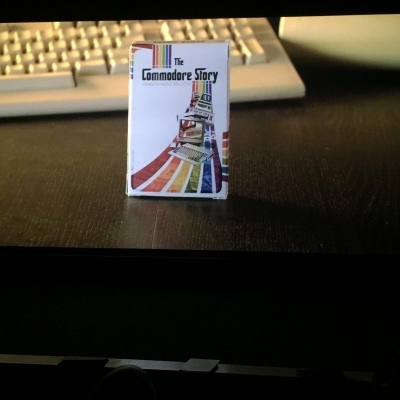 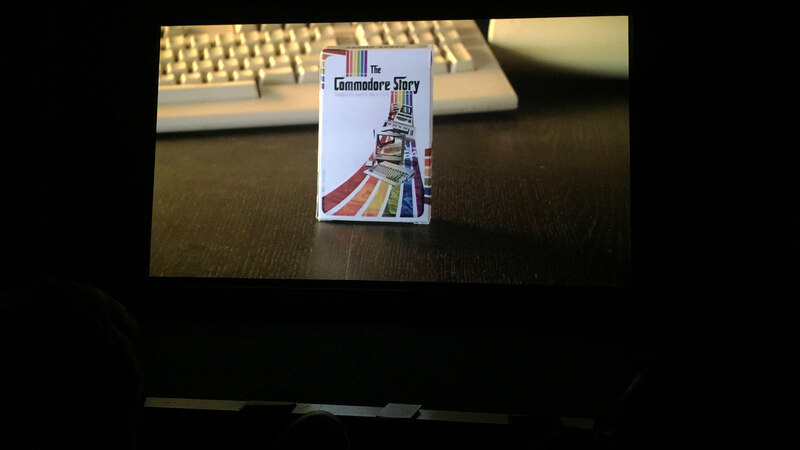 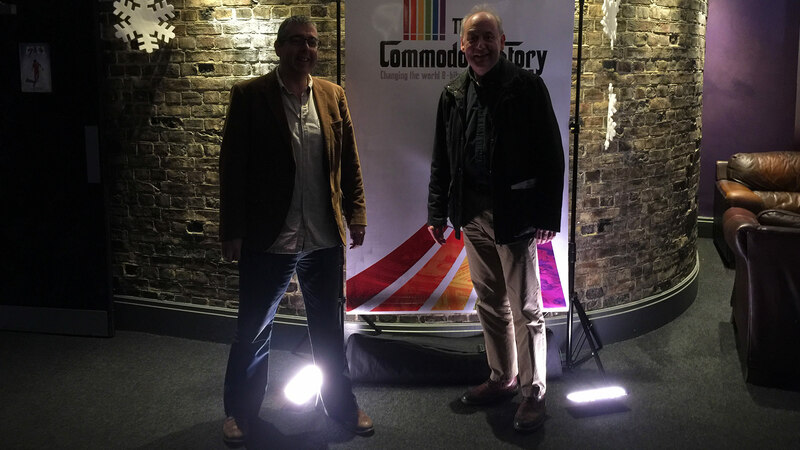 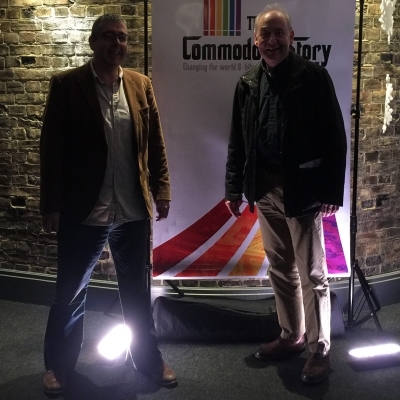 Last weekend we were invited to London to the premiere of The Commodore Story by Steven Fletcher. 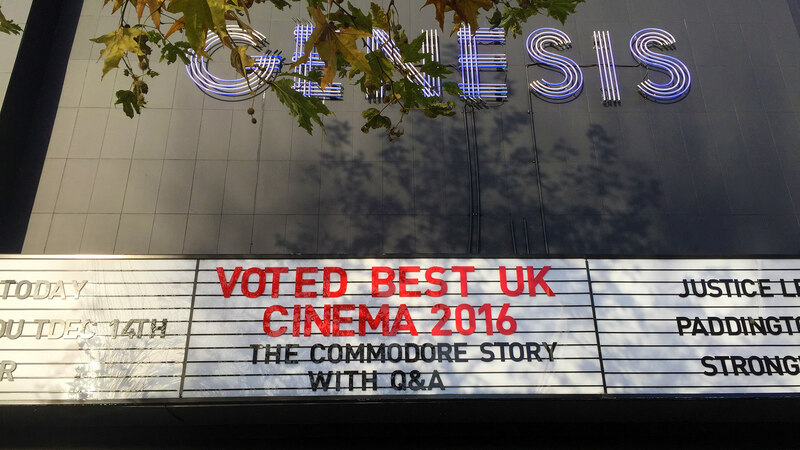 The documentary in which MEGA (and the MEGA65) has a small part delivers fascinating insight about the history of the Commodore brand and also some heartwarming moments. 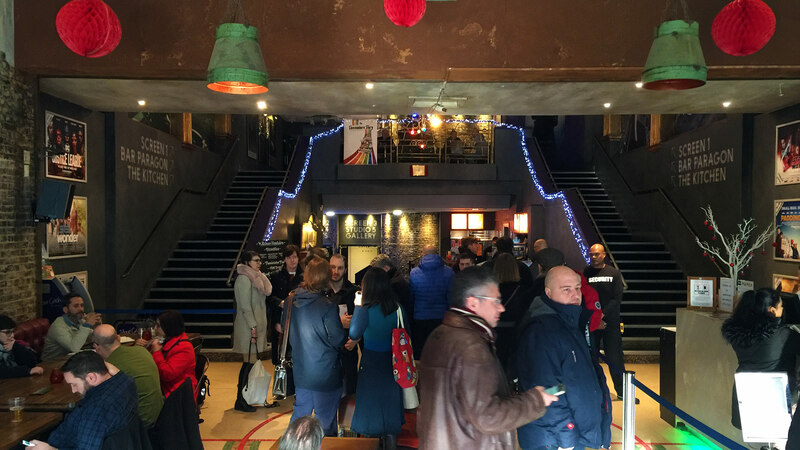 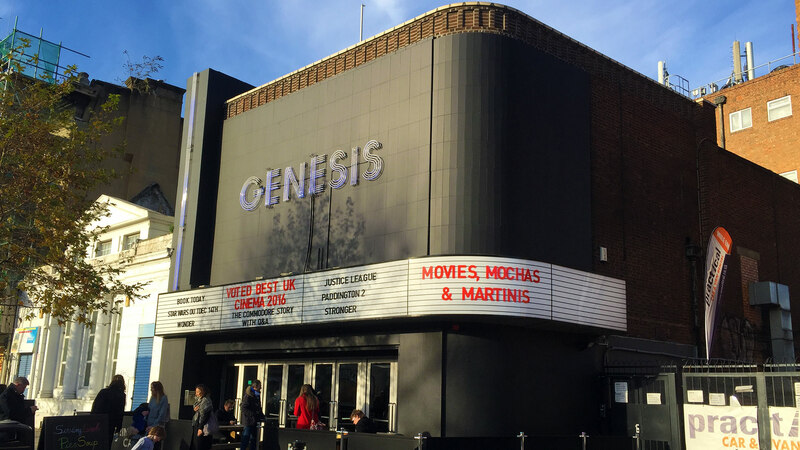 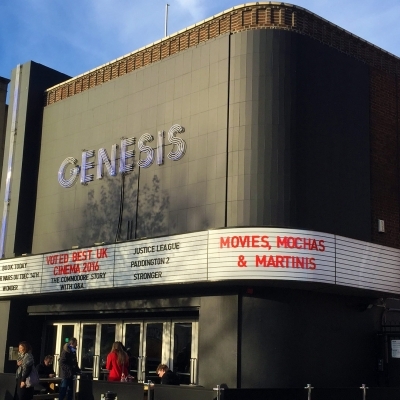 The premiere at the really nice Genesis cinema in London was a great success, several fans and celebrities from the retro scene and the former company enjoyed themselves. 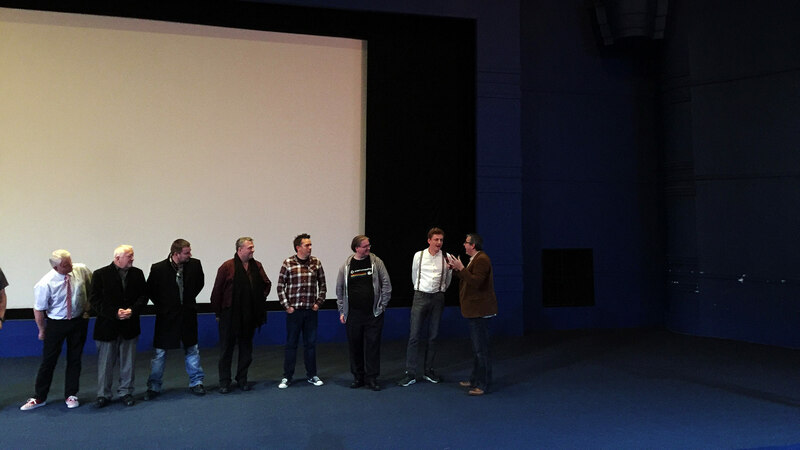 Well done and thank you Wavem Studios and the Fletcher family! 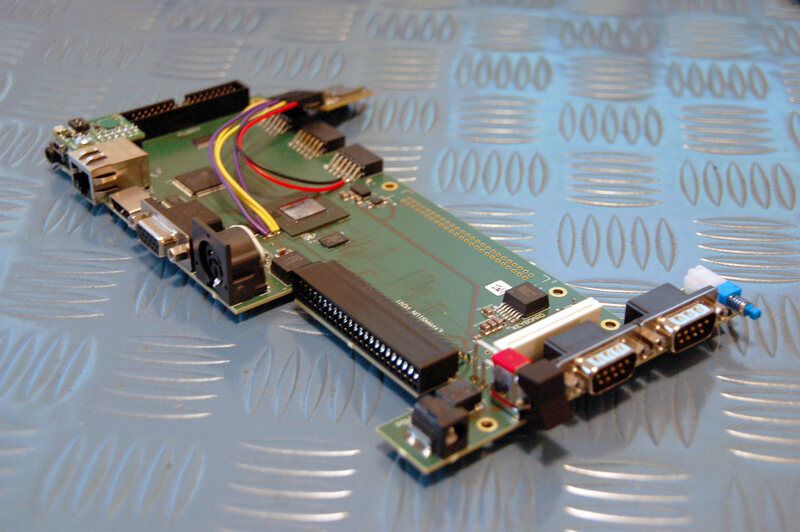 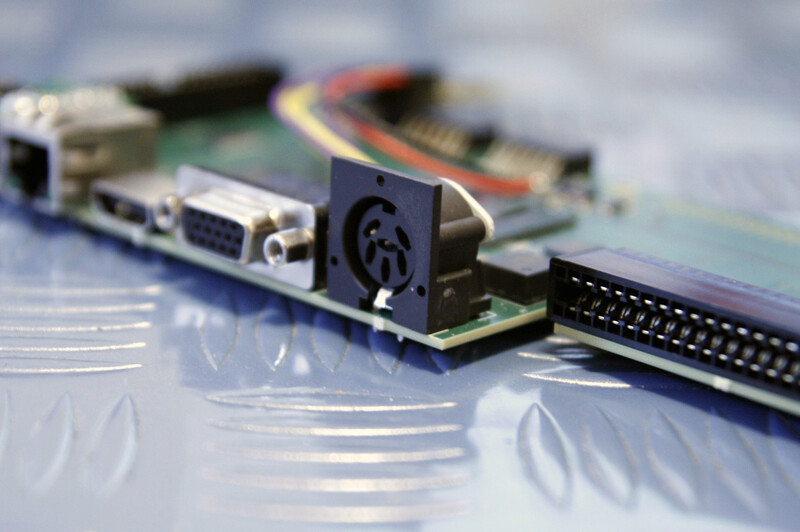 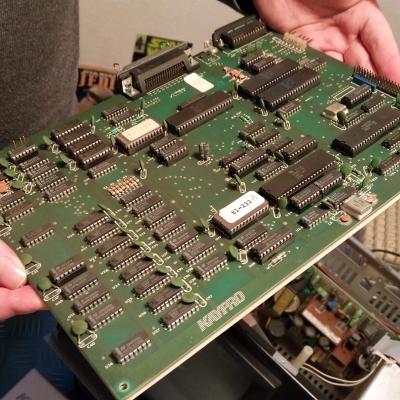 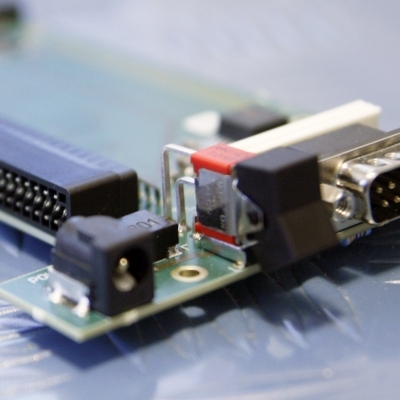 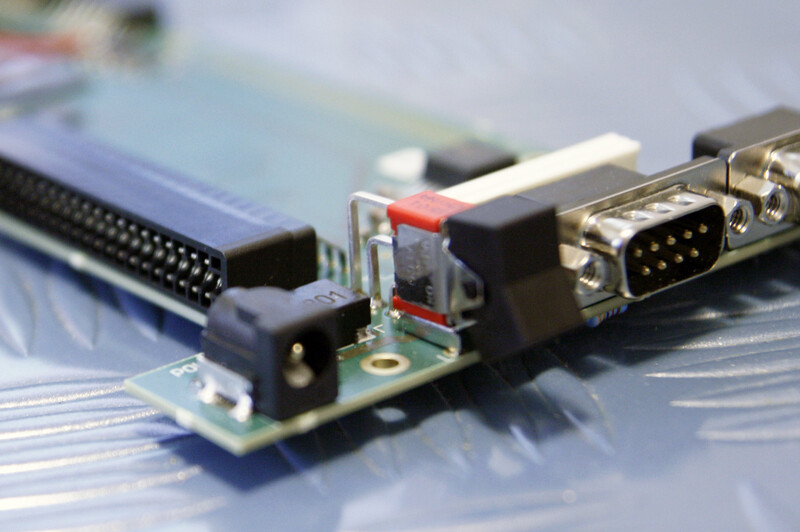 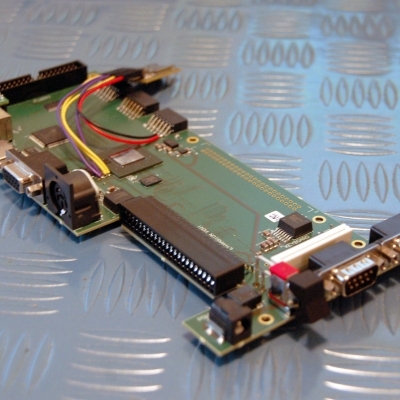 At Revision easter party (Demoscene event) in Saarbrücken/Germany we used the opportunity to work on the first MEGA65 mainboards Antti brought in his backpack. 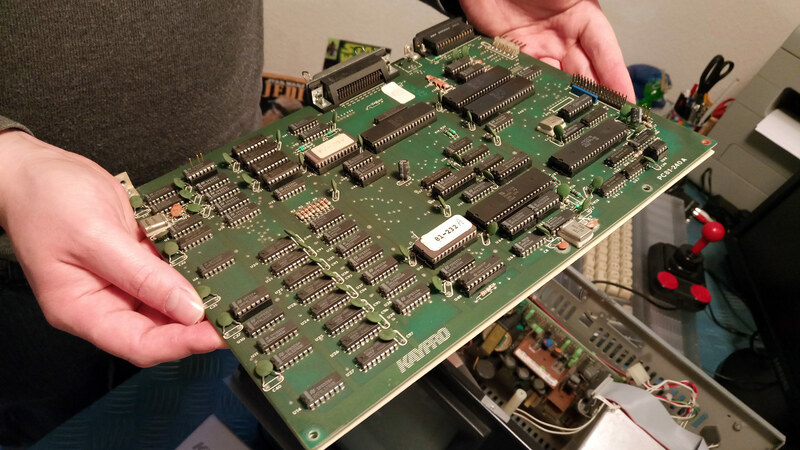 We worked around the clock and the planet. 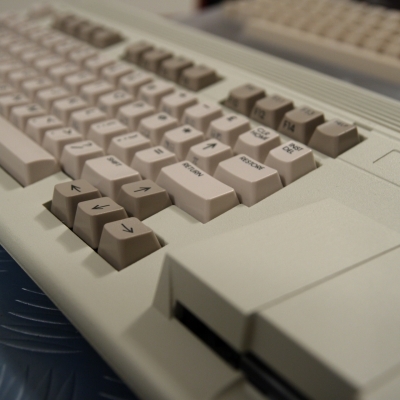 On 16th of April the beast booted into C65 BASIC. 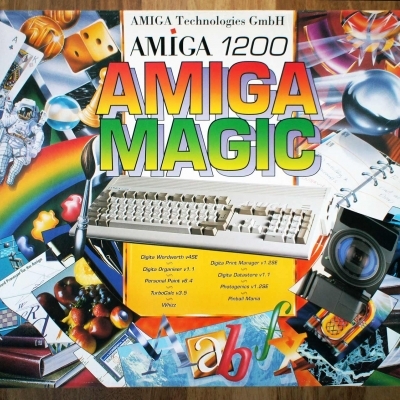 What an easter present! 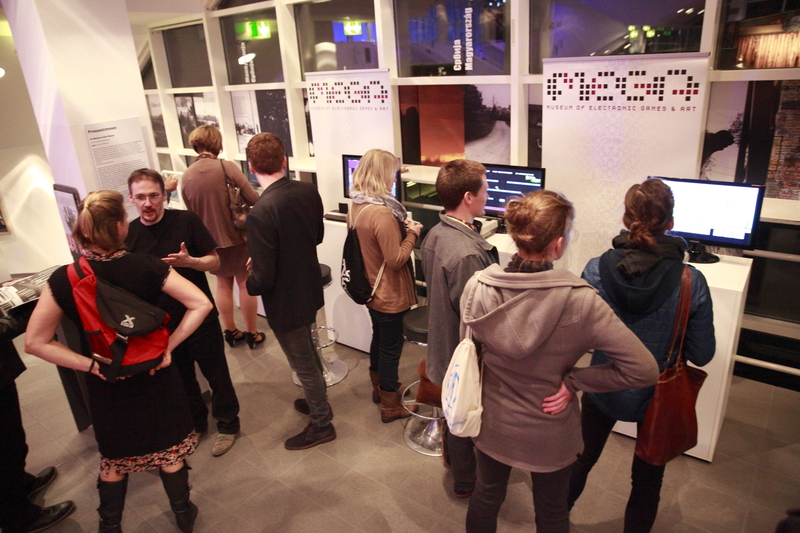 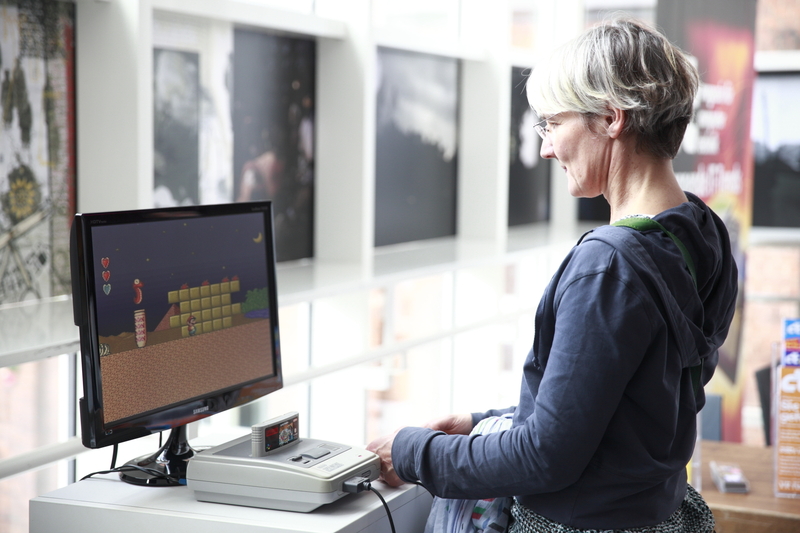 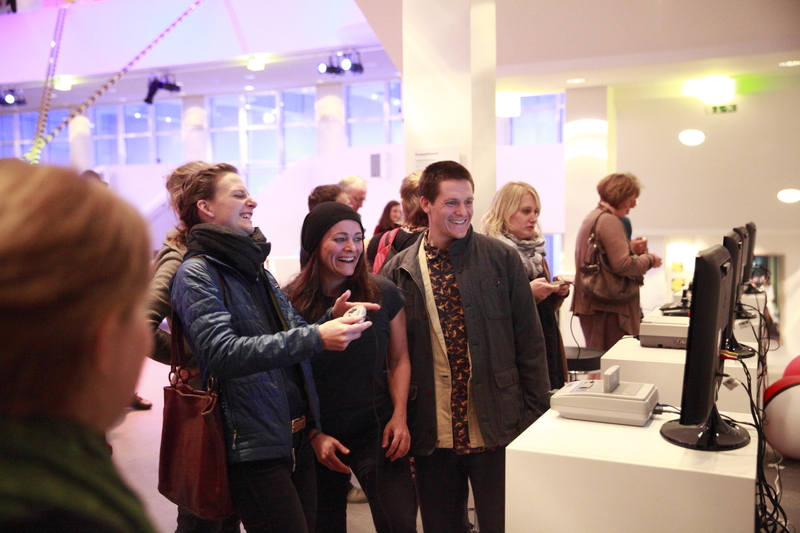 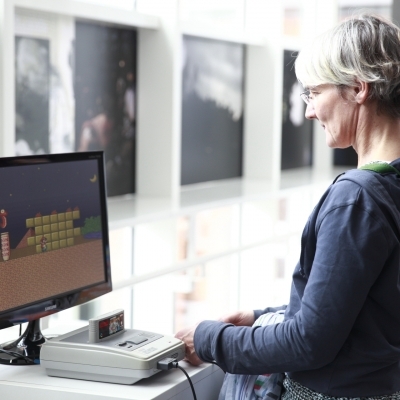 For Rainald Grebe‘s Play “Anadigiding III” at Schauspiel Hannover, MEGA showed the transition from analog gaming, including the first analog video game and analog handheld games, to the digital world of games starting with Pong and being followed by the decades of 8 and 16-bit games. 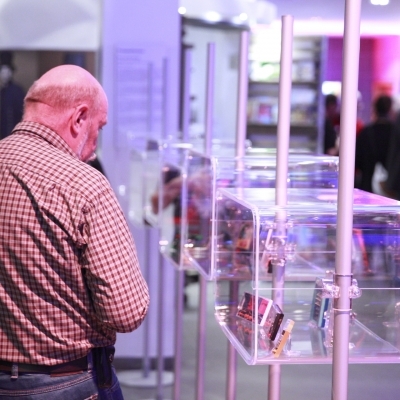 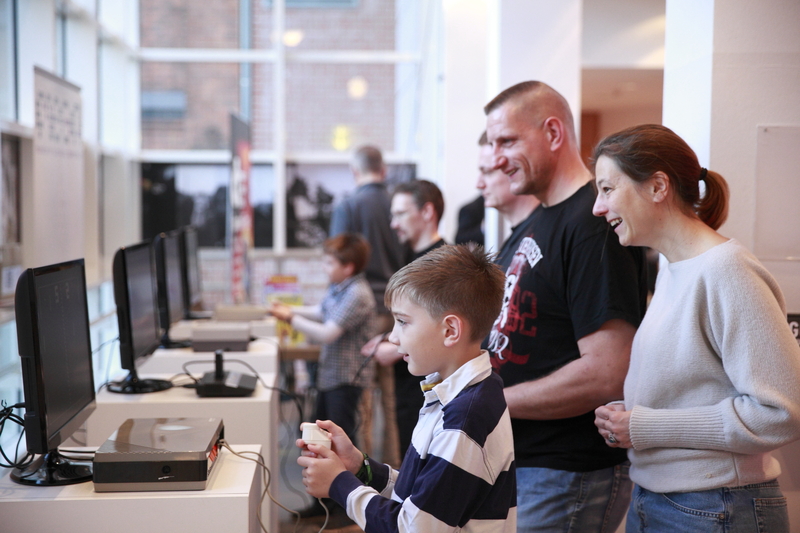 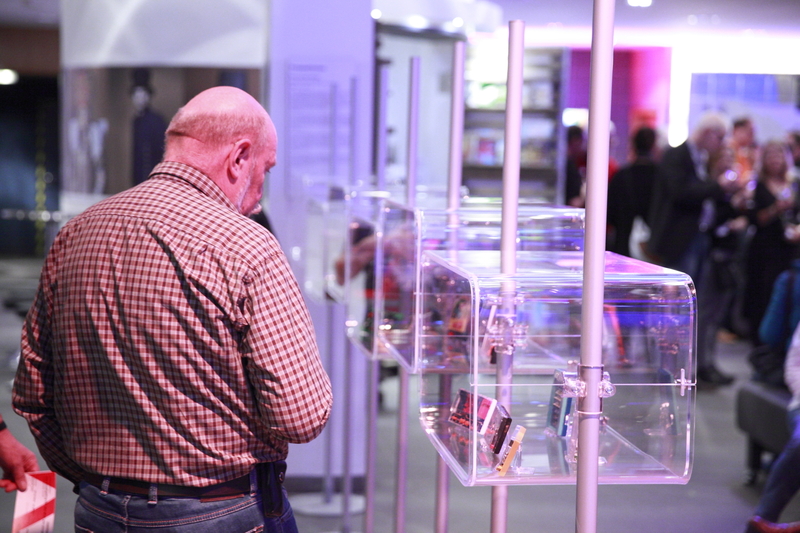 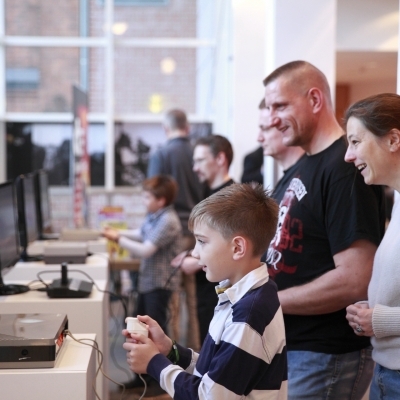 The exhitibition was highly appreciated by visitors aged between 6 and 80 years and many expressed nostalgic feelings about different objects of their youth. 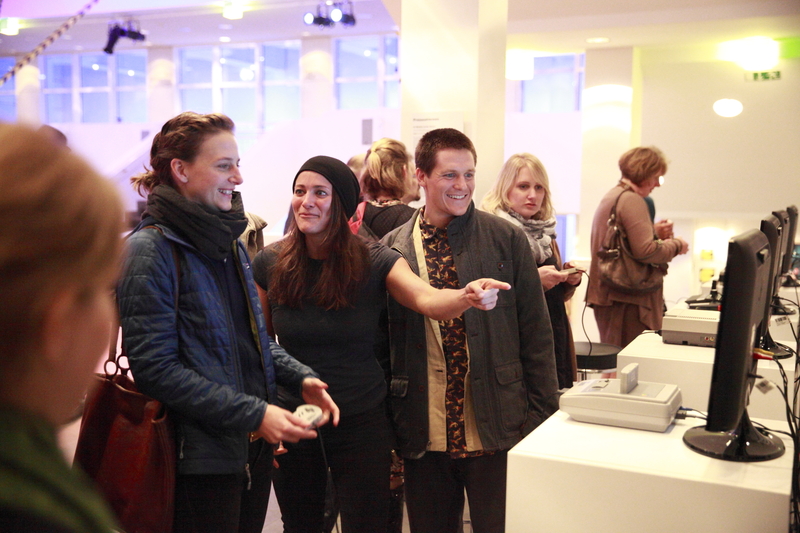 We were glad to be part of this cultural event and talk about such an interesting topic. 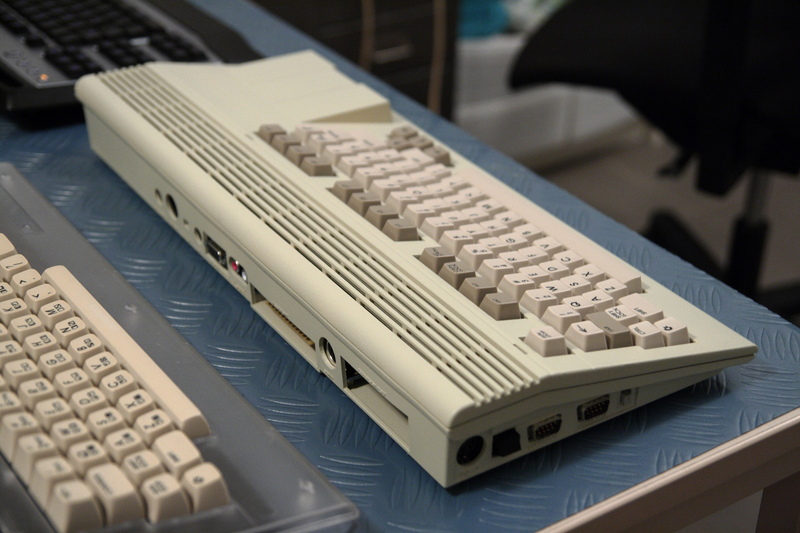 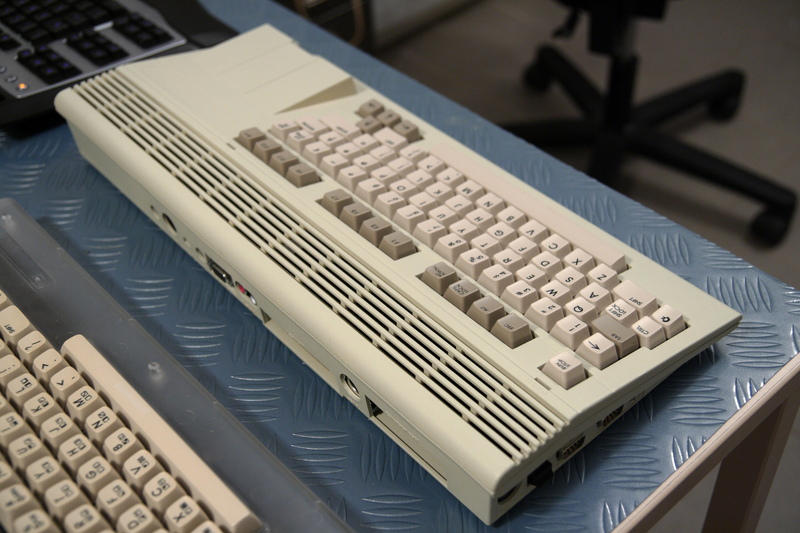 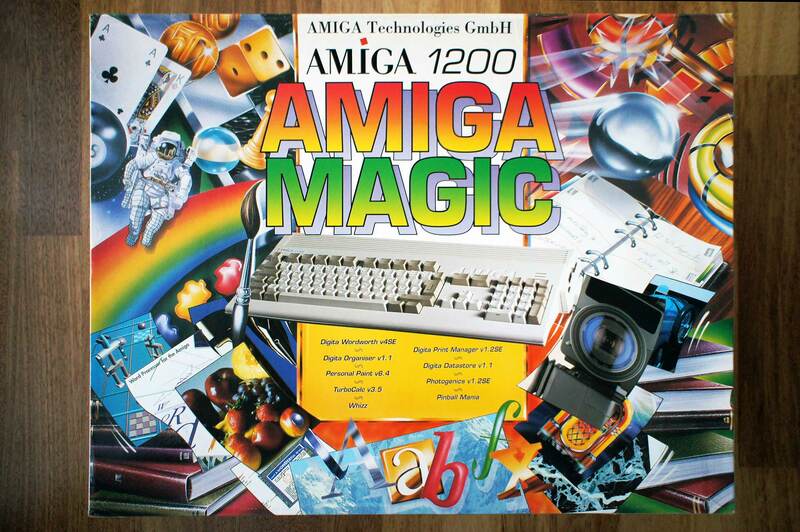 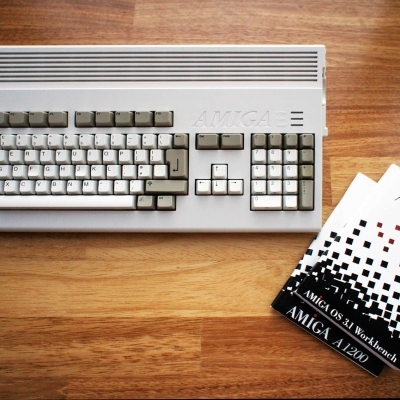 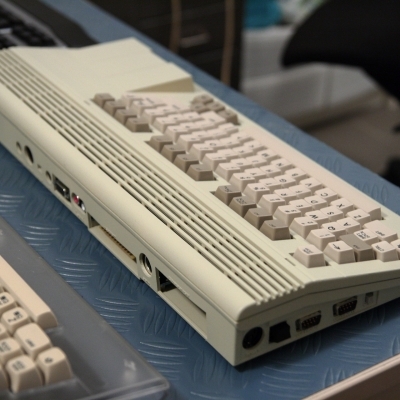 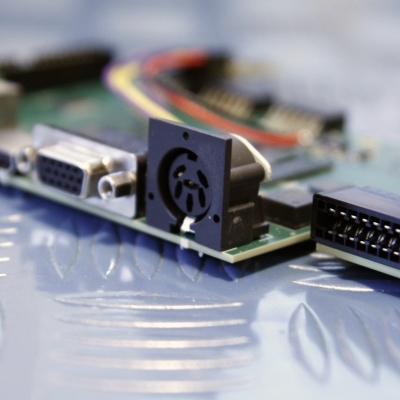 MEGA is fulfilling its mission of preserving mankind’s digital heritage at its best: The very last Amiga 1200 has been added to the MEGA collection! 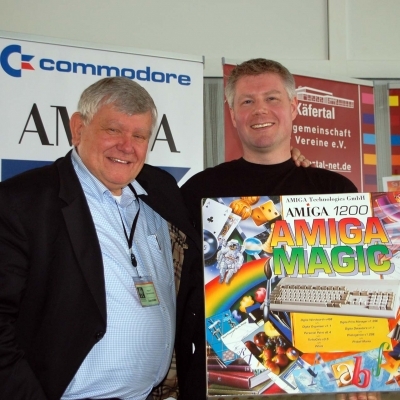 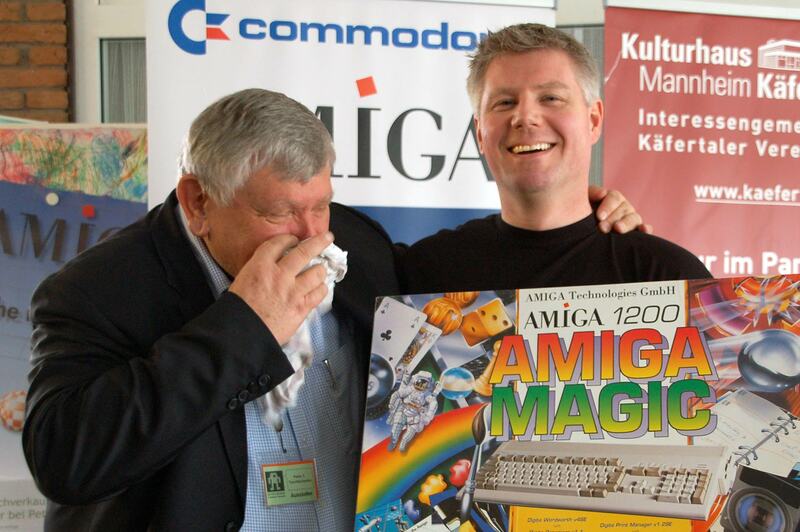 No other than Petro T. Tyschtschenko – former Commodore and Amiga International manager – handed over the “Magic Pack” to Dr. André Kudra – specialized in vintage Commodore and Amiga machines, and proud member of MEGA e. V. The historic and highly emotional handover event took place on April 2nd, 2016 at the Mannheim Retro-Fair, the 3rd edition of this extremely popular meeting point for retro enthusiasts. 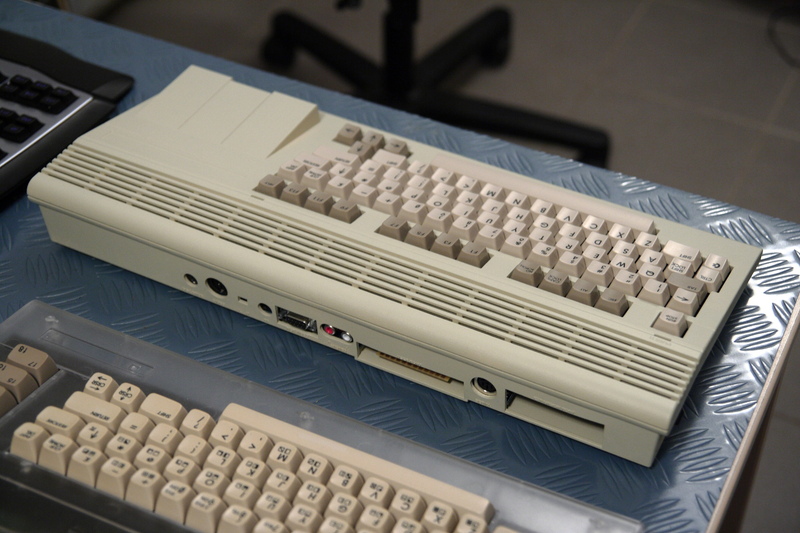 All was captured in video by retro scene blogger “VisioRetron” and kindly published on his YouTube channel. 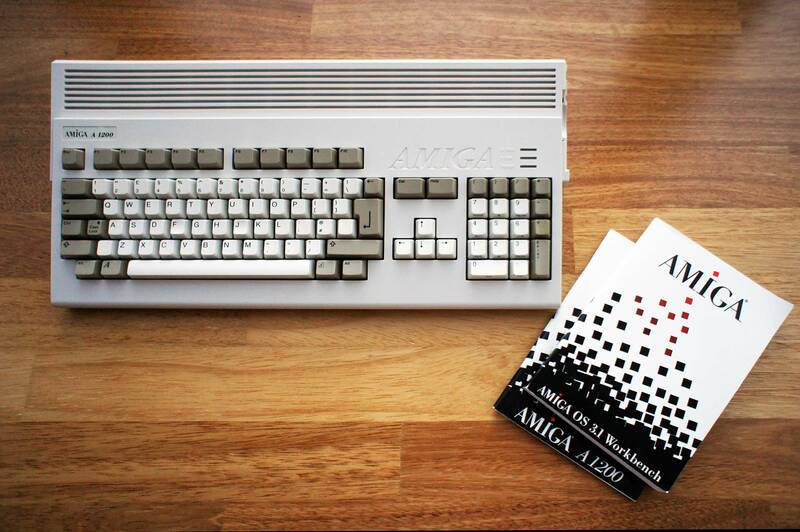 So all what’s left to say is: AAAMIGAAAAAAAAA! 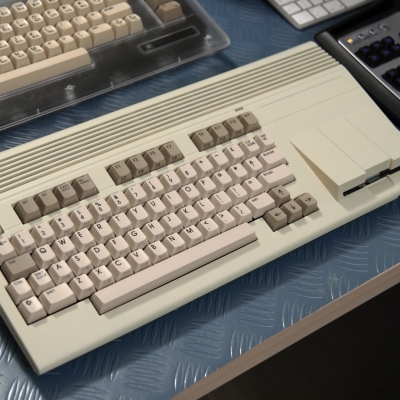 Word is spread about the MEGA65 project on all channels! 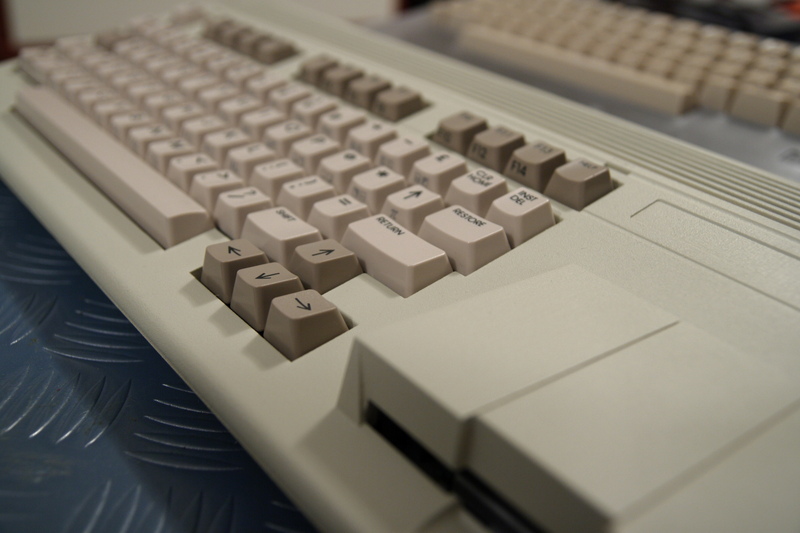 A brand new podcast was recently published by Scene World Magazine, the most eclectic and the world’s only C64 NTSC & PAL diskmag. 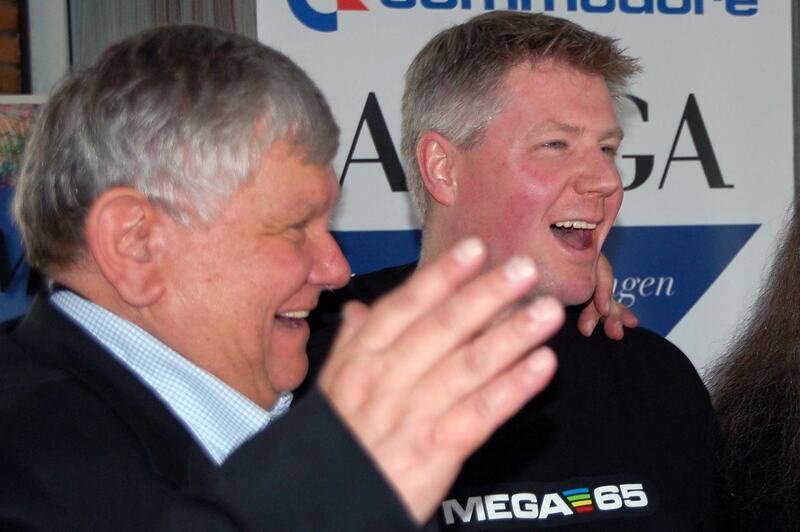 It features almost 90 minutes of MEGA65 insights, discussed between Scene World interviewers Arthur J. 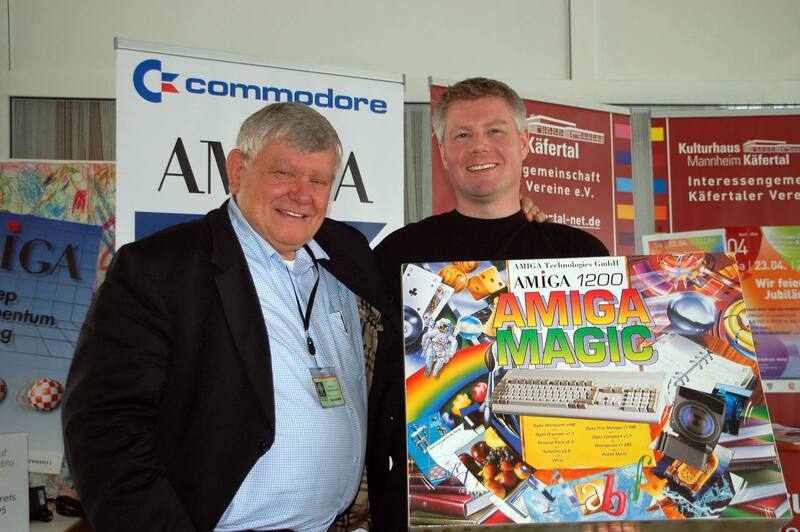 “AJ” Heller and Joerg Droege as well as MEGA65 team members Detlef Hastik, Dr. Paul Gardner-Stephen and Dr. André Kudra. 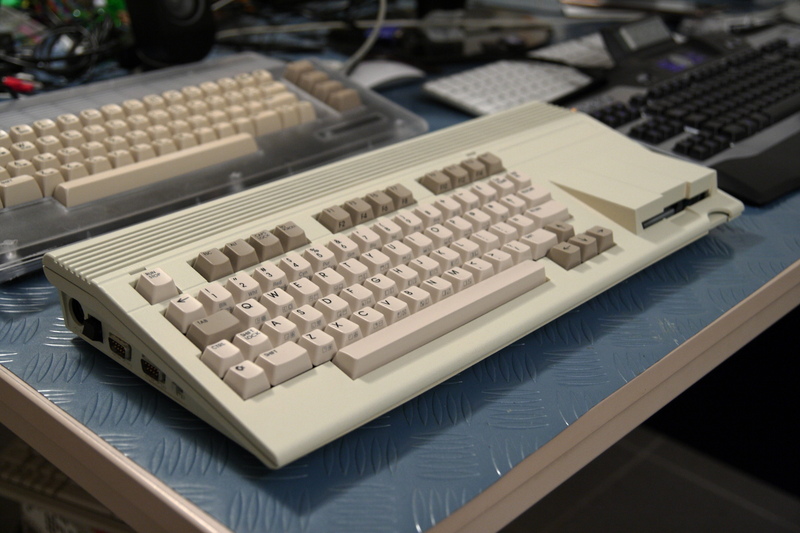 The interview, starting at 19:03 in the podcast, not only dives into technical details on the MEGA65 but also reveals the reasons why some retro enthusiasts embarked on possibly the greatest 8-bit journey ever in 2015.